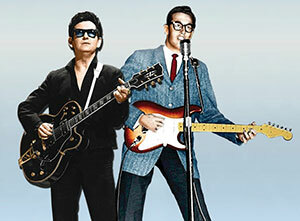 Roy Orbison & Buddy Holly: The Rock 'N' Roll Dream Tour will visit Birmingham's Resorts World Arena (formerly Genting Arena) on Thursday 17th October. Combining holographic performance with a live band and backing singers, audiences can enjoy an unforgettable evening of Roy Orbison and Buddy Holly's greatest hits onstage. Tickets to see The Rock 'N' Roll Dream Tour at the Resorts World Arena went on general sale on Friday 29th March, priced from £52 plus fees.